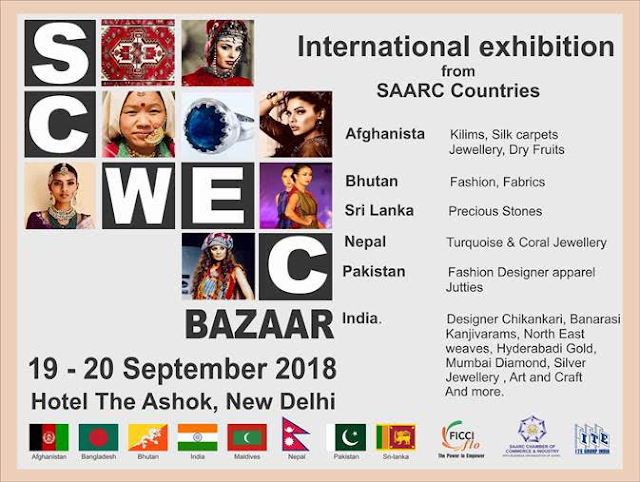 New Delhi September 19, 2018 The Two day international exhibition for Women Entrepreneurs from The South Asian Association for Regional Cooperation (SAARC) countries organised by FICCI Ladies Organisation (FLO),the women wing of FICCI in collaboration with the SAARC Chamber Women Entrepreneurs Council (SCWEC) opened here today at Hotel Ashok in New Delhi . Ms Pinky Reddy, National President FLO while inaugurating the exhibition said , “In sync with the objectives of FLO towards women empowerment, the South women entrepreneurs from South Asian countries including Afghanistan, Pakistan, Nepal, Bhutan , sri Lanka and India participating in the exhibition provides an excellent opportunity for women entrepreneurs of India , to explore marketing tie-ups and collaborations with other women entrepreneurs from the SAARC Region. 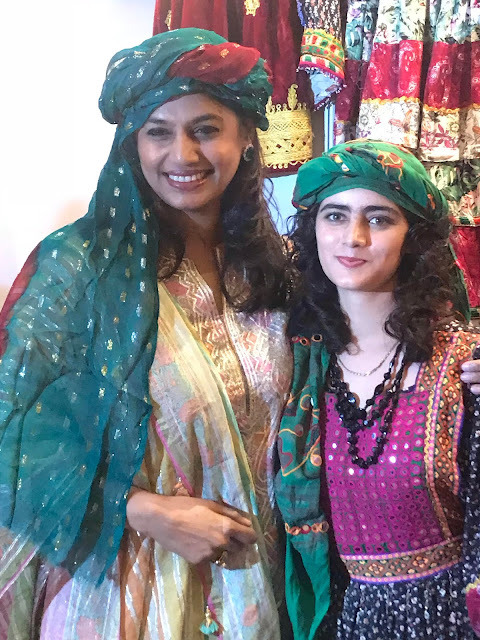 Kavitha Dutt, Vice Chair, representing India in SCWEC and Past President, FLO said, “SCWEC has been playing an important role in working towards development of women entrepreneurship in the SAARC Region. SCWEC BAZAAR aimed at bringing together businesswomen from the SAARC Countries, under one roof to provide a platform to showcase products and give them explore to the large Indian consumer Market. We are delighted at the enthusiastic response to the SCWEC BAZAAR this year. The main objective of this exhibition is to develop and promote women entrepreneurs in the South Asian region by bringing them together under one roof and providing an attractive platform to showcase products. SAARC Chamber Women Entrepreneurs Council (SCWEC) Member Countries: Afghanistan, Bangladesh, Bhutan, India, Maldives, Nepal, Pakistan, Sri Lanka • SCWEC was established on March 29, 2001 in Colombo, Sri Lanka, with the objective of developing and promoting women entrepreneurs in the South Asian region. • SCWEC is committed to the development of woman entrepreneurship with tangible goals of increasing business opportunities, building markets, job creation as well as strategic networking and growing woman run enterprises into mainstream business.